This Standard (entry level) DIY Dog Fence Kit from eXtreme Dog Fence® offers high-tech features and a compact and lightweight collar that is suitable for all but the littlest dogs. The Standard Kit is the same fence as the Ultra Kit but does not include twisted wire or a surge protection module. Like all eXtreme Dog Fences®, this one features unique features like Temp & Wire Check as well as multiple frequency selection to avoid interference from a neighboring dog fence or other devices. Check out our eXtreme Dog Fence® Pro-Grade Dog Fence Kit for the best deal on this best-selling brand. Not very impressed. Had to replace the collar AND get thicker wire after buying this fence. We were not very pleased with this fence system. First of all, the wire is so thin that it broke when I was trying to bury it. I had to go get another splice just to try and repair the break. Less than 20 minutes later, it breaks again. Luckily, I picked up extra splices from Home Depot. After having repaired the wire twice, I finished burying it and plugged it in. The transformer kept beeping. I called Flexpetz support and they told me that was a signal to let me know there is a problem with the wire. I had to dig it all back up and couldn't find where the problem was. I called Flexpetz back and ordered some thicker/stronger wire for it, and plugged it into the transformer before burying it. The beeping stopped. I buried the thicker wire and went to test it with the collar and it didn't work. Come to find out, the collar was defective. The manufacturer sent out a replacement, and everything works now, but the whole setup was a hassle I wouldn't go through again. Hopefully the fence will last and not present any further problems, because we are over it. 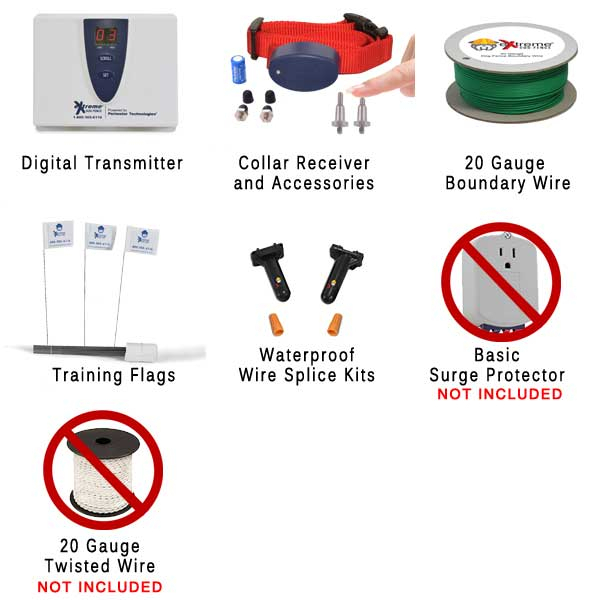 Superior quality and features make this electric dog fence system a great one. This glorious system offers brilliant controls that work to regulate the boundary signal regardless of changes in temperature. .The waterproof collar is lightweight (1.1 oz) and features conductive rubber contacts to ensure comfort . 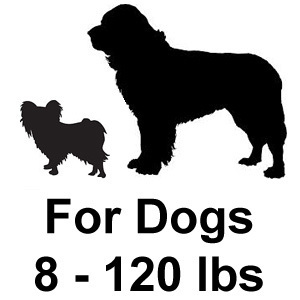 Five correction levels make this system perfect for multi-dog households like mine. I have yet to see any flaws with this system but if I do I will be sure to update this review. “Before Flex pets. I never knew that something like this existed. I cant find service like this anywhere else!